"Really enjoyed talking to sedona the most. Hoping all comes to as sedona told me and I teared up as my minute ran out and the last message she sent me was confirming a certain someone. If I get the unexpected surprise ...ill be back soon Sedona! Thank you !!" 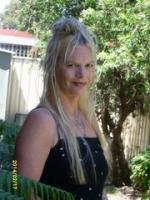 "have had many many readings and always right on the money. i recommend her very highly"